Si necesita ayuda con traducción, llame por favor al 792-1093 y comuníquese con Nathan Barrett. 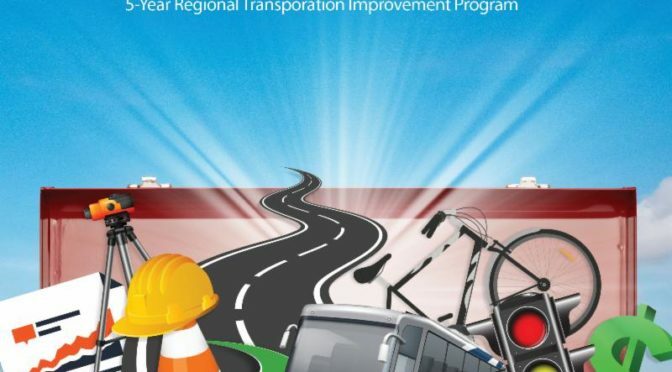 The public is invited to review and provide feedback on Pima Association of Governments’ short-range transportation improvement program (TIP), which includes projects to be scheduled for construction or design during fiscal years 2020-2024 across the greater Tucson region. The value of programmed improvements identified within the TIP is approximately $1.2 billion. The public comment period is open from April 18 through 5 p.m. on May 22, 2019. A public hearing for the TIP will be held at noon on May 23, 2019, at the PAG Regional Council meeting, 1 E. Broadway Blvd., Suite 401, Tucson, AZ 85701. A handy weekly note from Tucson City Councilperson Paul Durham – Ward 3. Treasurer Report Balance as of 1/26/2019 was $1,450.52. There were $129.59 expenses for the Valentine’s Breakfast. The new balance as of 2/25/2019 is $1,320.93. There has not been any money coming in from the neighborhood dues. Neighbors can pay their dues by PayPal using the neighborhood page. Dues are a recommended donation of $15 annually. A reminder to pay dues will be sent through the neighborhood email and the newsletter soon. Neighbors pay dues on a yearly basis voluntarily. Usually people pay during the neighborhood picnic, but they can pay any time. package for New Neighbors. The New Neighbor letter is finished and has been added to the New Neighbor packet. Street representatives will distribute New Neighbor packets and door hangers that contain useful email contacts for inquiries about the neighborhood. Kris asks neighbors to contact her if they live near a house for rent, for sale or in which a new resident just moved in, so that she can provide the info to the street representative or deliver the packet herself. Newsletter update: We need to update the Newsletter on the webpage. Newsletter will be published quarterly. update: Between 15 to 20 people attended the event. The plan is to hold the Valentine Pancake breakfast every year. Historical Neighborhood Status: There needs to be a committee to explore eligibility, draw boundaries and find out costs. The Historical Preservation Office can provide information about the cost and process to became a Historical neighborhood. A suggestion is to invite Jodie Brown for a walk of the neighborhood to explore the possibilities. Email Brian if interested in historical status committee. cut. Park services are behind in responding to calls, but it will happen. needs to be new signs in that area to avoid these issues. neighbors on the email list. he would look into it. The water line on Copper is under repair as of February 25th 2019. Meetings are the 4th Monday of the month. Next meeting March 25th. They are trying to get together with Tucson Dept. of Transportation, code enforcement and graffiti . October – Declutter month, CGNE will provide prizes for the declutter bingo game that will be sent out in late September along with all the rules for the month. November 3rd – Sabuku T-shirt sale and craft fair – if you are an artisan that is interested in being in this event let me know. Colleen 577-4543. This venue gets a large turnout, and has been getting bigger each year. It will be held at the International School. Picnic in the Park / Friendsgiving Nov. 11th, Sunday in the Park from 11-1 /. CGNE will provide the Turkey, gravy and stuffing. The rest will be potluck. Christmas Bazaar – December 1st at Ward 3. We are looking for venders from the neighborhood and nearby. We have a couple of other neighborhoods that will be doing this event with us. Wilson wash – get someone to be in charge of calling and a pick up committee. Bill talked to Matt Kopec about making sure that the wash is on the list to be mowed. Bring your old pet toys, collars, leashes, crates, dog bowls etc.to sale, trade or give away. There will be a dog trainer and dog sitter there. Custom dog biscuits for sale. TPD Ofcr. Joe Gradias has a monthly opportunity to learn about Dog Walkers Watch. The latest issue of our newsletter, “The Town Crier”, is available now.